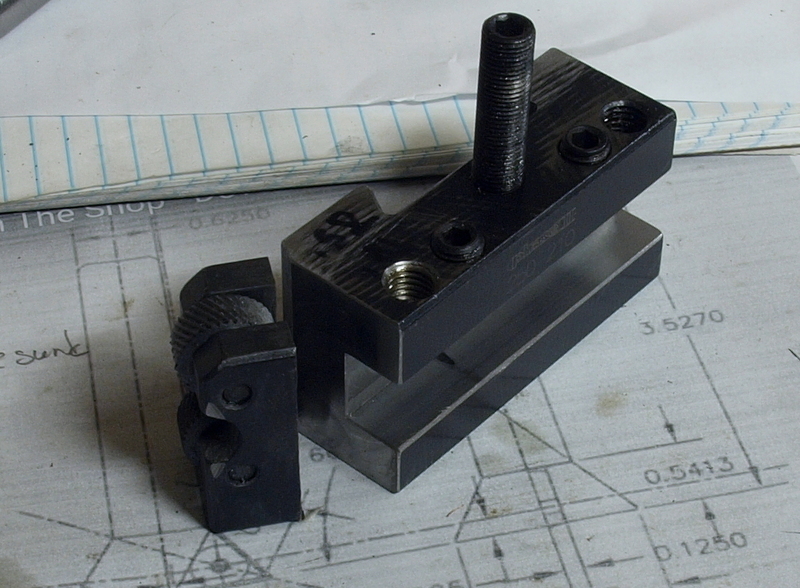 When I got my quick change tool post set, it included this combo knurl tool & facing holder. Kinda useless as I hate push knurlers. So I decided to make it useful by sawing off the knurler, extending the slot and punching a couple of threaded holes (M10x1). It is made of hardened steel, but it ain’t all that hard (easy to cut with a sharp file) so it didn’t put up any fight, didn’t even notice any difficulties power tapping. This entry was posted in Metal, Tools. Bookmark the permalink.